It’s hard to believe that Thanksgiving is right around the corner- like next Thursday around the corner. Thanksgiving is one of my favorite holidays- tons of delicious food (like Christmas) but no pressure to buy gifts (like Christmas)! There are always a few recipes that you only pull out for special occasions, Thanksgiving, Christmas or the like (My mom always does stuffed beef tenderloin with shiitake mushrooms, spinach and shallots for Christmas Eve- Don’t worry I will blog on that closer to Christmas) Staple recipes. They bring back memories and in someways define that holiday for you. But every once in while its nice to spice things up with something new. So for the next few blog entries I will pull out some old favorites and some fresh new inspiration for your big Turkey day. 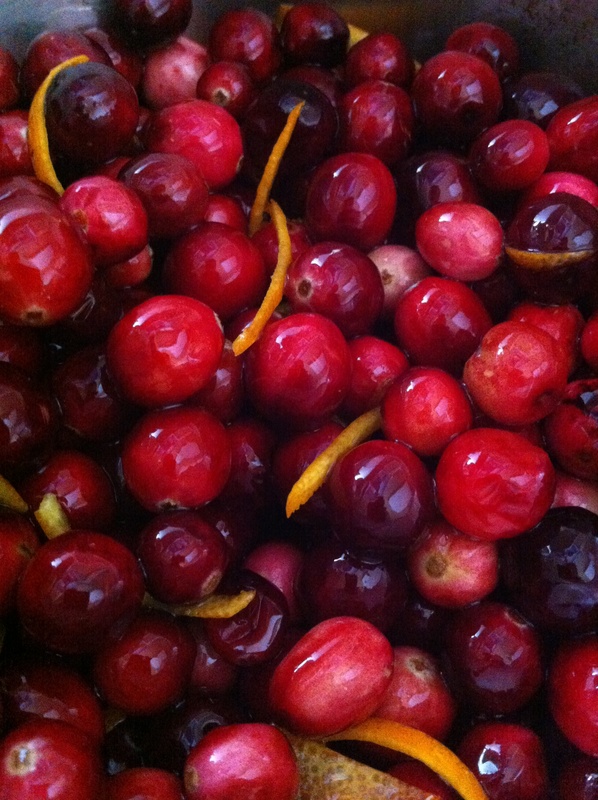 I couldn’t help but start with a dish that is practically as important as the turkey on Thanksgiving… Cranberry Sauce. Enjoy! Fresh Cranberry-Orange Sauce: Many fresh cranberry sauce recipes call for granulated sugar (the bad stuff)- Agave Nectar is a great alternative to white sugar. Agave, as compared to other sweeteners, has a low-glycemic index, which means it won’t cause a sharp rise or fall in blood sugar. We don’t want anyone going into a sugar coma over cranberry sauce…especially before dessert! 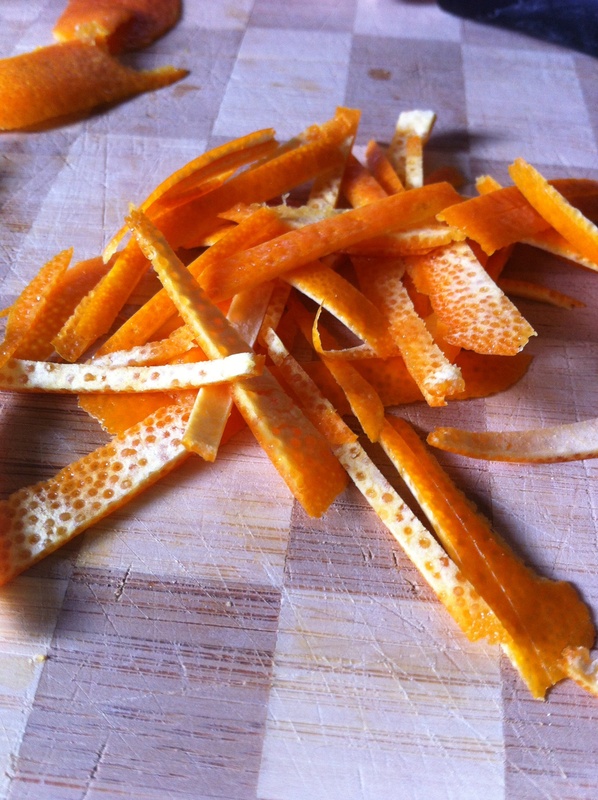 Using a vegetable peeler, peel zest from orange and cut into strips. Juice orange. 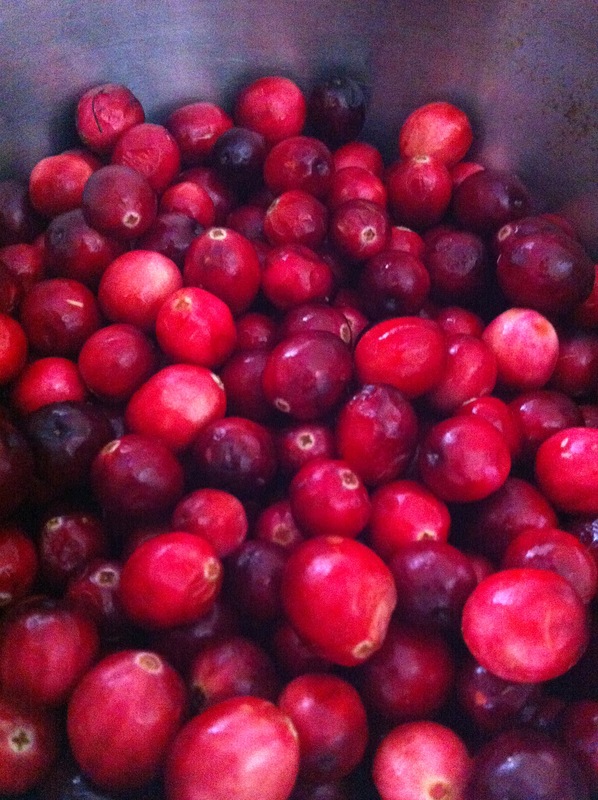 Combine cranberries, 1/2 the orange zest, juice, agave nectar and cinnamon in sauce pan over medium heat. Simmer until cranberries begin to burst and the sauce thickens, usually about 15-20 minutes. Serve at room temperature or cool and refrigerate. Can be made a few days in advance. For sauce that is more tart, start with 1/3 cup of agave nectar and gradually add more to reach desired sweetness. 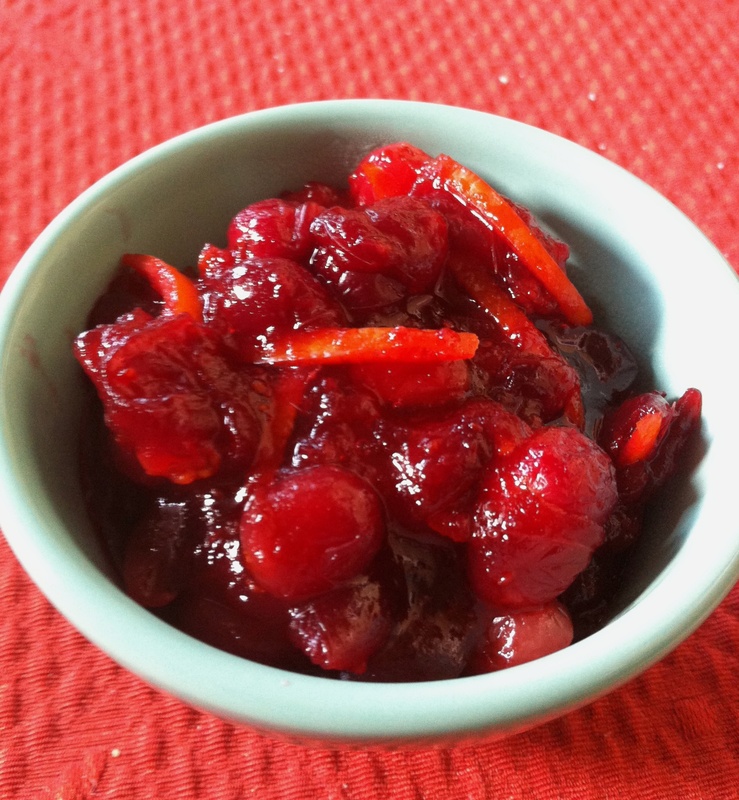 This entry was posted in Recipes, Sides and tagged Agave Nectar, Cranberry, Cranberry Sauce, Orange by skibootsinthekitchen. Bookmark the permalink.